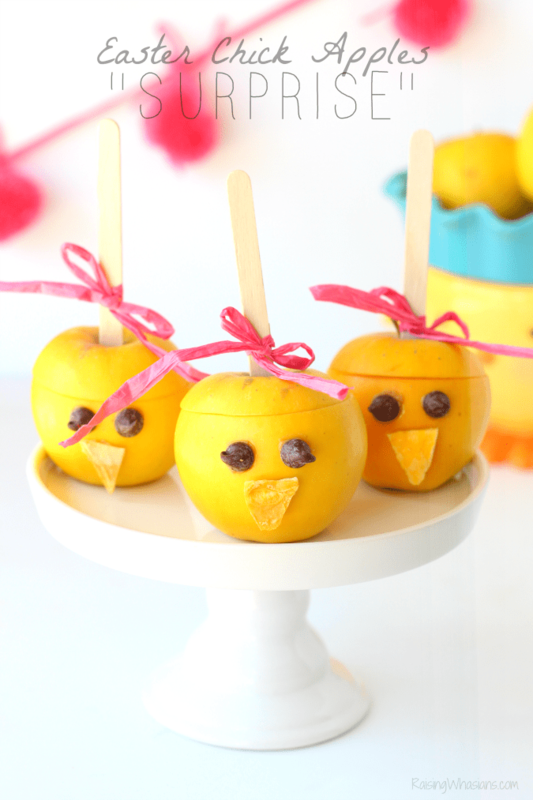 Do you have a Barbie fan in the house? Then the latest Barbie Blu-Ray Giveaway is for you! Barbie Spy Squad is on DVD/Blu-Ray combo pack March 1. 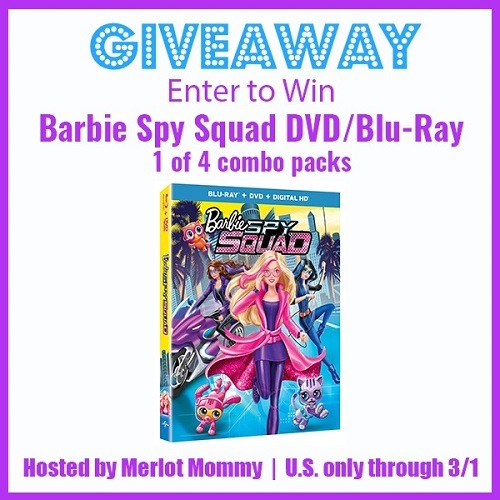 I’ve teamed up with Merlot Mommy and some other fabulous bloggers to bring you a chance to win one of four copies of the new Barbie Spy Squad movie. Yes, that’s right. 4 winners! 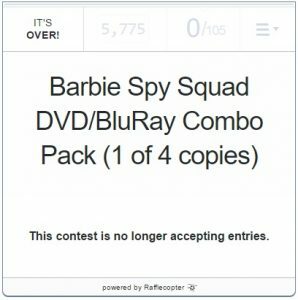 So get the details and enter the Barbie Spy Squad Blu-Ray Combo Pack Giveaway! Barbie™ and her best friends Teresa and Renee transform from hard-working gymnasts to undercover secret agents in this exciting, action-packed adventure! When their amazing gymnastics skills catch the eye of a top-secret spy agency, the girls are soon following clues to a gem-stealing cat burglar who has escaped everyone on the case. With their high-tech gadgets, disguises and quick wit, can this squad prove that smarts and teamwork can get the mission accomplished? My daughter loves Barbie and she would love to watch this movie. My daughter is looking forward to it! Her Nana got her one of the dolls for Valentine’s Day. My granddaughter is looking forward to this movie! I’m hoping to win for my daughter. She saw a commercial for it the other day and was telling me how excited she is to see it.